One of things I’ll miss the most about the summer is all of the fresh fruit available during the summer. 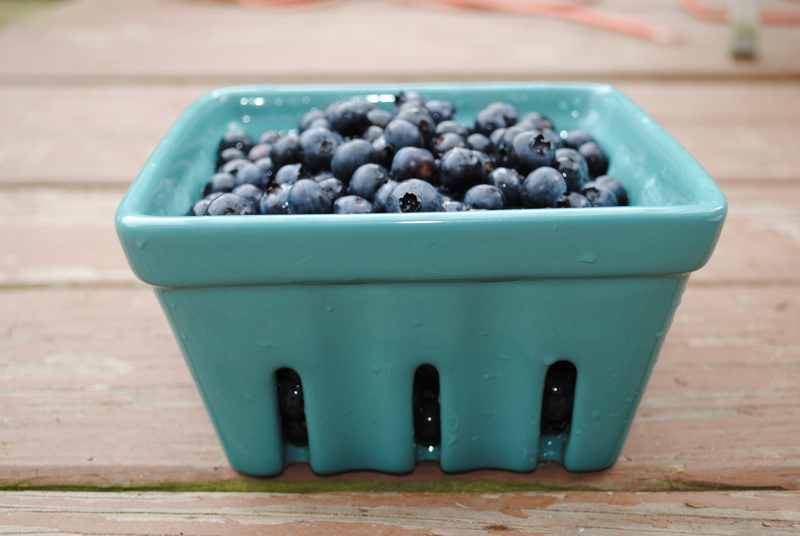 My favorite summer fruit is fresh peaches, but blueberries are definitely a close second! 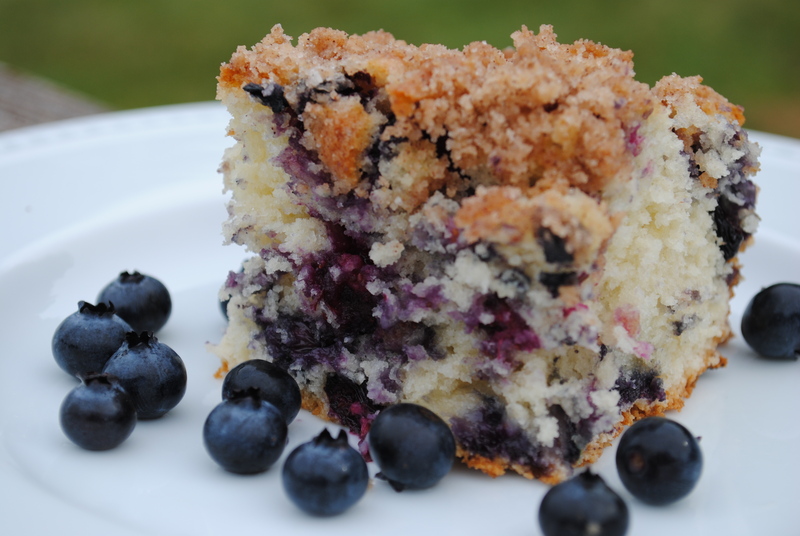 This Blueberry Buckle from allrecipes.com was delicious! (I know there are lots of fancy cooking blogs out there, but allrecipes.com is my go to – quick, easy, and usually pretty basic.) It was a great way to use up a bounty of blueberries from berry picking. 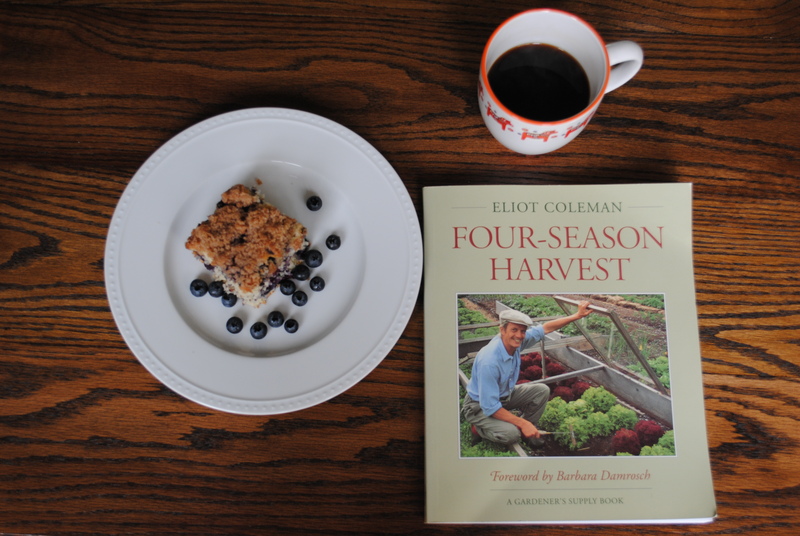 As the summer is winding down and I’m lamenting the loss of our fresh summer produce, I’ve been reading Eliot Coleman’s Four Season Harvest. If you haven’t read any of his books, I would highly recommend it. Especially if you’re farming in New England. He’s from Maine and harvests fresh produce all four seasons! Dan and I are hoping to implement some of his practices into our garden this fall. We’ll let you know if how it’s working in January! A lot is happening on the farm right now. We’ve been getting back into the routine of the fall and I’ve definitely been missing the free time of the summer. Projects take twice as long to get down now. We’re working on putting together the order forms for the grass-fed beef packages for the fall! Hopefully they will be up and working the beginning of next week.